Short novel but packed with good office romance! Katerina Dawson better known as Kat is a recently graduated law student. She has been hired by Jaxon Bently to work for him. Jason is a great boss and figure but when he has to leave the office for an unknown period of time, Kat will have to work under Jaxon's partner, Tristan Channing. Kat can admit to herself that he's trouble for her. She's attracted to her new boss and when she finds herself playing nanny with his kids, that she also like his two children. Tristan Channing is a widower trying to balance his job and his children. He has no time for playing and he's good at his job. When a couple of nannies failed him, he asks his new employee for help. As hard as he tries to distance himself from her, the more time they spend together the more he wants her in his and his kids' life. 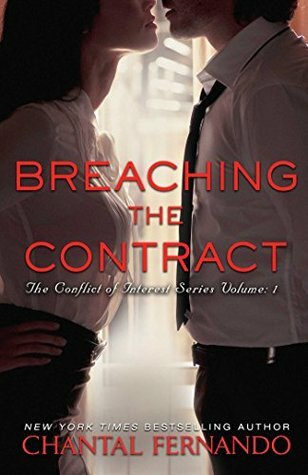 Breaching the contract can be read in one sitting. It's fast and sweet. Both main characters were likable and relatable. I felt bad for Tristan's situation but I didn't like him abusing his power over Kat at the beginning. I liked him much more when he started treating her as a colleague although I understood the necessity to bring his kids into the story and make Kat feel for them. The secondary characters were good too and I'm hoping they get their own stories.